UK garden design shows are famous throughout the country, and even internationally, as some of the most delightful events for finding unique and creative garden designs, as well as enjoying the beauty of England’s countryside and city landscape in the spring and autumn. While the summer is all but gone, gardeners throughout the country are already very eager to participate in the upcoming autumn shows in September and October, as well as next year’s RHS (Royal Horticultural Society) events in mid-April. Whether you want to stay close to London or visit some of the more remote locations in the wonderful English countryside, there are a variety of shows you can enjoy in this period that can provide you with everything you’re looking for, and more. The RHS garden and flower shows in the autumn of 2014 and spring of 2015 are some of the most popular and loved upcoming UK garden design shows. You can enjoy the London shows in early October, or wait for the Cardiff RHS flower show in mid April of 2015. One of the most extravagant of the RHS garden shows is the Wisley Flower Show taking place in the surroundings of Wisley, and featuring the annual show presented by the National Dahlia Society. Don’t miss this remarkable display of garden trade stands and floral arrangements, and be sure to visit Wisley sometime between the 2nd and 7th of September, 2014 for the show. 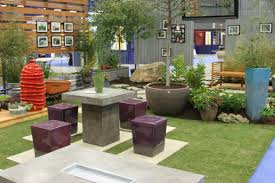 Starting in September 2014, The Landscape Show is where dedicated builders, architects, garden designers and buyers meet at one of the most exquisite garden design event in the country. The event will take place in Battersea Park, London, starting September the 23rd 2014 at 10 AM. Another great event that, aside from exciting contests will provide you with a chance to enjoy the best of summer harvests, as well as local foods and cookery demonstrations, is September’s Malvern Autumn show near Worcester. The show will take place September the 27th and 28th. While many of the shows presented here are have crowded the month of September, it is important to create a sound itinerary. Depending on your location and the available time you have, you may even manage to reach all – or at least most of the shows – without much difficulty. You can find tickets and advice for setting up your schedule and planning your trips on the official RHS website, as well as the separate web pages dedicated for each show in part. 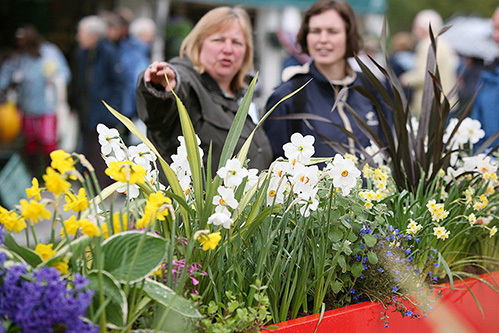 Whether you’re more interested in the upcoming events of this September and October, or you just plan on getting to Cardiff next year for the RHS flower show, for instance, make sure you follow both the planning guidelines and the specific requirements regarding pets, smoking and the presence of children near the areas where the events will be taking place. Being well-informed about the shows and making a timely appearance will help you savor some of the most remarkable new garden designs from around the entire country.